James Finnigan and his Florida Tech Men's Tennis teammates bounces back after its last match with a close win over Florida National 4 - 3. 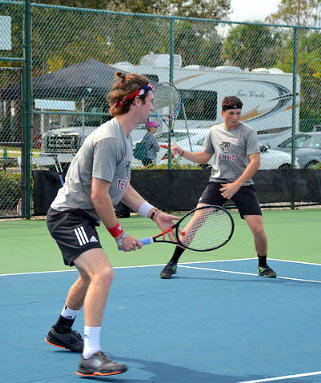 Florida Tech swept the doubles portion of the contest as Finnigan and Jack Clark dominated the top-billed doubles flights winning 6-1. Finnigan would fall playing in the number one Singles spot in straight sets 6-4, 6-4.